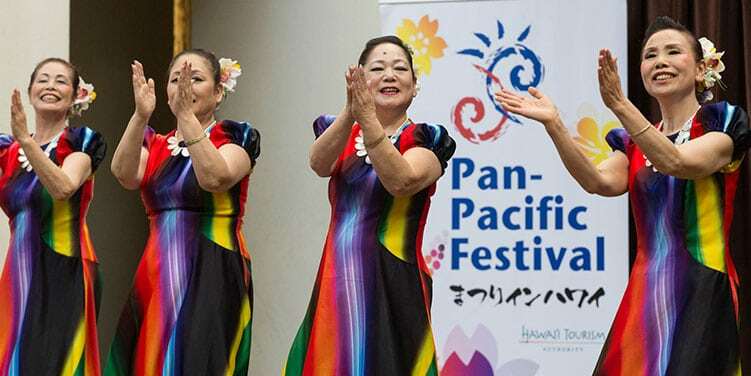 The Pan-Pacific Festival is an annual three-day cultural celebration that features an eclectic assortment of cultural arts, crafts, food and stage performances in a variety of settings in and around Waikiki throughout the weekend. 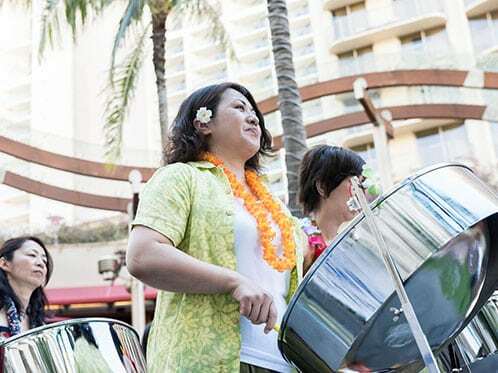 Where Can I Park In Waikiki To Attend Your Events? Will There Be Taiko Drum Performances? Yes we normally have Taiko drums. Please check our website the week before the festival to see our performance schedule. Where Can I Get A Festival Program? In an effort to go GREEN, the program will be available on our website. 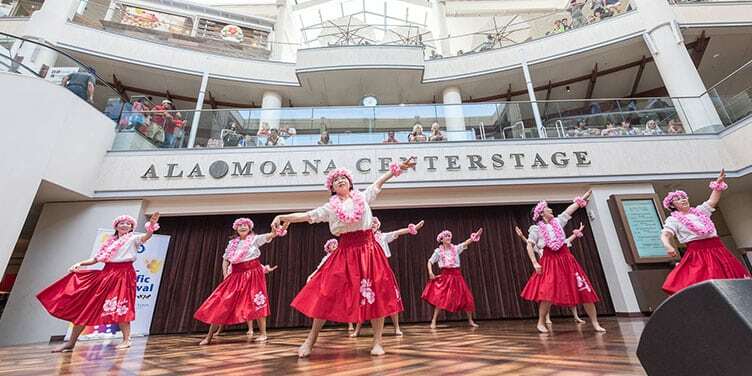 A performance schedule for the Performing Arts Showcase and the Ho’olaule’a will be posted on the website the first week of June. Schedules will also be available at each performance stage. 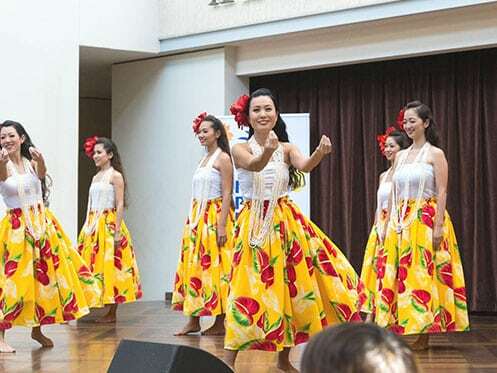 How Can My Group Perform In The Pan-Pacific Festival Events? Email us at ppf@kihhnl.com and request for a Festival application and a Festival official will contact you. 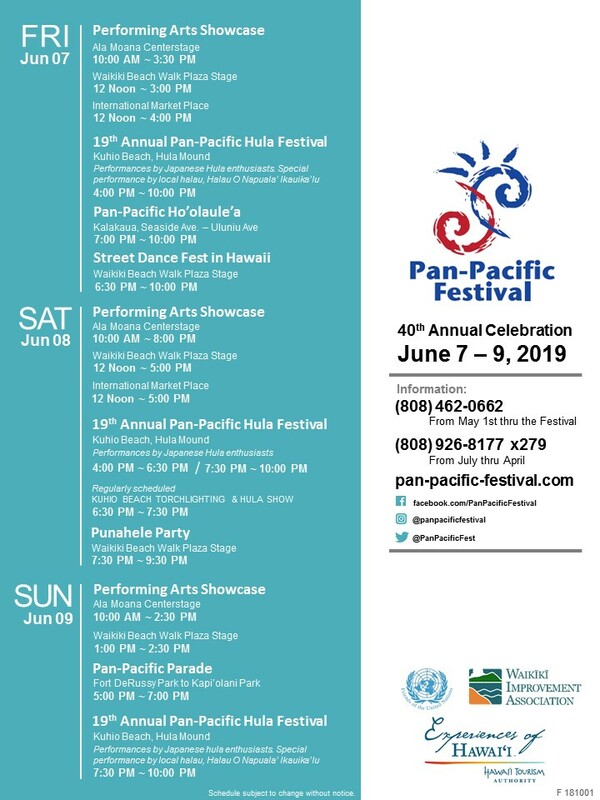 How Can I Participate As A Vendor In The Pan-Pacific Ho’olaule’a (Block Party)? For contact information and application forms, please visit our website, Contact page or email us at ppf@kihhnl.com. Where Can I Get Road Closure Information For Event Days? What Times Do The Streets Close And Open For The Ho’olaule’a (Block Party)? 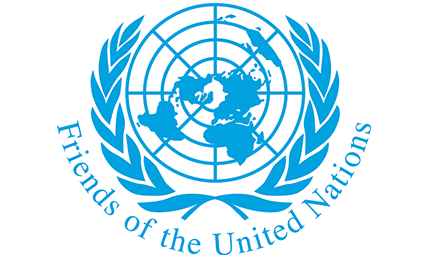 – Kalakaua Ave. road closure 5:30 p.m. to 11:30 p.m. from Seaside Ave. to Uluniu Avenue. -Kalakaua Avenue road closure 4:30 p.m. from Kalakaua Ave. to Monsarrat Avenue. When is the Festival happening next year?